The history of the linemen profession is full of stories involving challenge, courage and teamwork. The apparel linemen wear has also evolved over time to match the speed, stamina and demands of one of the most dangerous jobs in America. Take a look at the history of linemen and how their apparel has evolved along the way. 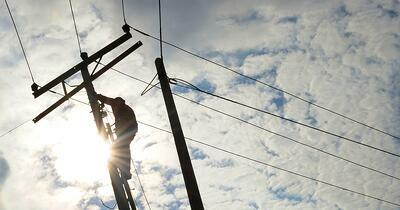 The lineman profession began in the 1840s with the introduction of the telegraph. Lines were installed on trees, and eventually poles, to allow for long-distance communication. With the invention of the telephone in the 1870s, linemen were required to help hang telephone lines across the nation. As the use of electricity increased in the early 1900s, more linemen were needed to connect communities to the growing power grid. As a profession, the industry was considered to be highly dangerous, as there were limited opportunities for training. As the demand for electricity increased through the 1930s, linemen were known to travel from city to city, working long stints earning good money, and returning home between jobs. With time, the safety and demands on the job began to evolve. Moreover, there are now industry standards and best practices designed specifically to address safety concerns on the job. This includes the Transmission and Distribution Strategic Partnership, which was originally signed in 2004. The agreement is between OSHA and representatives from the power transmission and distribution industry, and trade and labor representatives, to provide employees with safe and healthy workplaces. While the primary goal is to reduce industry related death, injury and illness, the Partnership is also trying to develop best practices to address health and safety concerns. In regards to on the job demands, many linemen are now employed in a regional area and provide ongoing service for electric utilities and other parties in the power distribution industry. Linemen often go to aid in disaster relief and consider themselves as a brotherhood, helping out their fellow linemen nationally and internationally when needed. As a trade, there are now apprenticeship programs and educational opportunities which provide linemen with the training they need to be successful in their careers. In addition to best practices, which dictate procedures and responsibilities on the job, linemen are also required to wear personal protective equipment (PPE) on the line. These items are required to meet the highest safety standards in the industry, while still providing linemen with the maneuverability and flexibility to work in variable conditions. Some of the most important aspects of PPE are functionality and comfort, especially when it comes to apparel. Clothing can be both flame and arc flash resistant, but that doesn’t necessarily mean it is comfortable to wear on the job. Moisture wicking FR garments have been designed over time to incorporate some of the best aspects of traditional moisture wicking, with the FR protection required for PPE. The original moisture wicking technology was a chemical coating on the surface of synthetic polyester fabric that would wash out over time. Increased demand for wicking apparel meant a demand for longer lasting, better performing garments. Superior moisture wicking fabrics combine two types of fibers together: hydrophobic (water hating) fibers and hydrophilic (water loving) fibers. Hydrophobic fibers are synthetic, and include nylon, aramids and modacrylics. Hydrophilic fibers feel natural against the skin, and include cotton, wool and lyocell, to name a few. The combination of fibers, spun together with precision, result in a garment with permanent moisture wicking technology. A garment that is both comfortable and dual-certified for flame and arc flash protection can help linemen maintain safety and maneuverability on the job. Choosing PPE that offers moisture wicking technology can make a big difference in a profession with variable weather conditions. Help you stay cool in hot temperatures keeping you safe from overheating and heat stroke. Reduce loss of concentration by keeping your mind focused on the job, instead of on uncomfortable clothing. Keep your fine motor skills working by preventing sweat-soaked, restrictive apparel. What Should You Look for in A Moisture Wicking FR Garment? Dual-certified protection with safety and maneuverability in mind. Look at the garment tag to verify a blend of synthetic and natural fibers, ideally, a 55/45 blend for optimal moisture wicking. A garment that offers permanent moisture wicking technology. Don’t always opt for lighter weight apparel. Just because a garment is Category 1 and deemed ‘lightweight’ doesn't meet it will actually keep you cooler. Why #AskForLakeland? Lakeland has an extensive background in the production of protective clothing for the chemical, oil, gas and fire industries. Our expertise in protective clothing is now available for utility workers in the form of high performance FR apparel. Our line of FR performance gear is the new industry leader in terms of comfort, moisture wicking and style. But don’t just take our word for it, ask for the data and you’ll see that Lakeland outlasts the competitors in every category. Interested in learning more lineman training and fitness tips, and how to layer FR clothing to optimize on-the-job performance? Download our eBook now: Lineman Safety & Performance Guide Learn how you can climb stronger, work safer and prevent accidents. Lakeland set out to create an FR performance line that could exceed FR safety requirements, outlast the elements, maintain lineman body temperature and still be comfortable enough for everyday wear. Lakeland FR performance apparel offers dual-certified protective apparel with advanced moisture wicking technology and a lightweight design with maneuverability and comfort in mind. Learn more by following Lakeland on Facebook and Twitter, and be sure to #AskForLakeland.